We are a long established 100% Australian owned and independent timber wholesaler and importer based in Silverdale, NSW. We stock a huge range of hardwoods, softwoods, mouldings, flooring and decking backed by over 60 years of specialist timber experience. 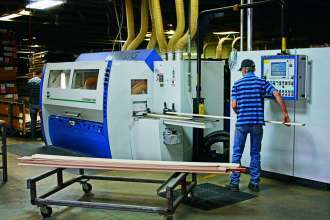 We have the added advantage of an on-site state of the art milling facility catering for both large and small runs together with the ability to match or create specific profiles. With a strong tradition for high quality, value for money, we are proud of our comprehensive range of products, personalised sales support, and prompt delivery service nationally. Armour sources the highest quality timber from across Australia and around the world. Each supplier is individually inspected by Armour's own specialised staff to ensure we buy only the best product. Armour is determined to secure a high quality product both now and in the future and therefore we're a firm supporter of environmentally friendly and sustainable foresty. We offer a broken pack service for all our products. Armour has it's own state of the art timber milling facility. We offer general and specialist machining of any timber. Armour believes in offering you the very highest level of customer service. Our friendly sales team is made up of experienced timber professionals with a product knowledge that's second to none. They can help you choose a product that's suitable to each application and offer constructive advice to help you meet your business needs.